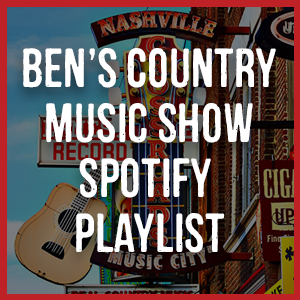 UK Country Music show presented by CMA member Ben Atkinson and broadcast on stations across the UK and Ireland since 2008. We feature the best in country, roots, americana and bluegrass, plus news from Nashville and Billboard charts. We always love to hear from our listeners, and below you will find a number of ways to get in contact with the show. We enjoy nothing more than to hear new ideas for music we should be playing, your suggestions for our album of the week feature or guests that you would like us to arrange a session with. If you’d like to write to us, send us a CD or EP to play on the programme then the address you need is below. Please note we cannot reply to letters individually.